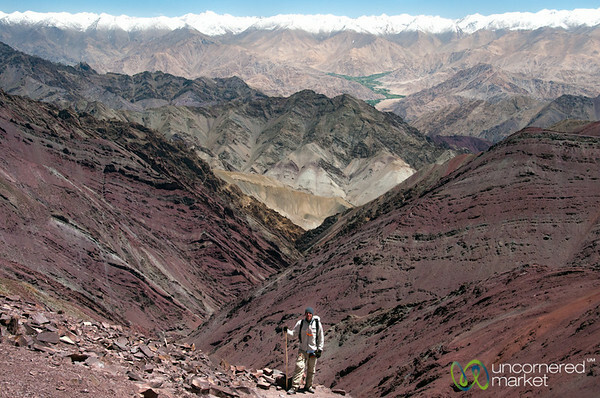 Ladakh's Markha Valley Trek is one of those life-impacting experiences. 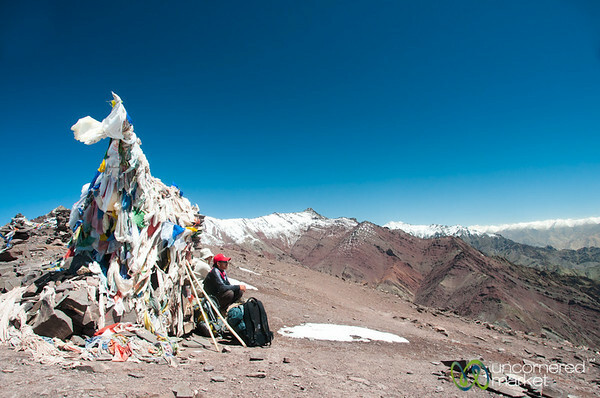 This is a photographic journey of the 7 day trek in the Himalayan Northern India region that is in fact an extensive of the Tibetan plateau and Tibetan Buddhism. 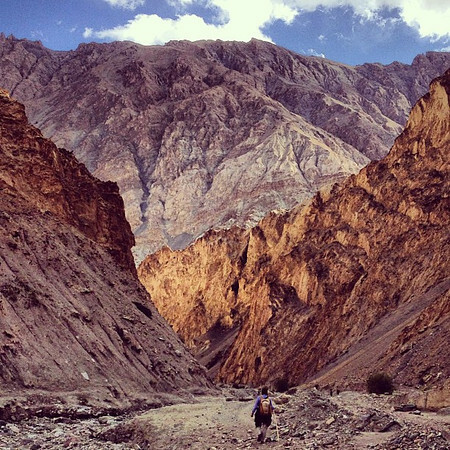 Read: Ladakh Trekking: A Beginner’s Guide or buy the guide. 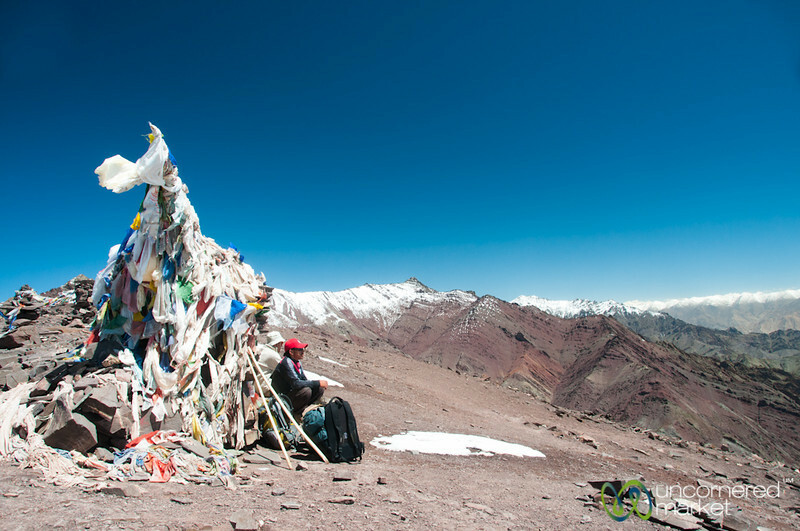 Prayer flags and incredible mountain views greet us at the top of Gongmaru La Pass (5130 m) in Ladakh, India. 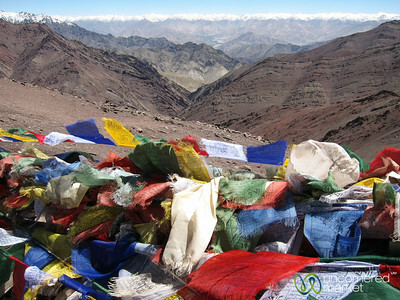 Prayer flags at the top of Gongmaru La Pass (5,130m/16,800 feet) along the Markha Valley Trek in Ladakh, India. 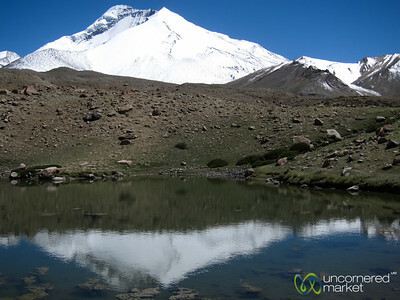 Lunchtime stop with lake reflections of snow-covered peak on day 5 of Markha Valley Trek, Hankar to Nimiling. Ladakh, India. 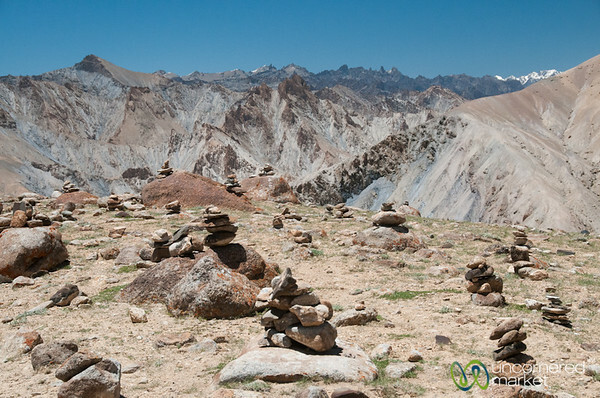 Chortens on the way to Skyu, day 2 of Markha Valley Trek in Ladakh, India. 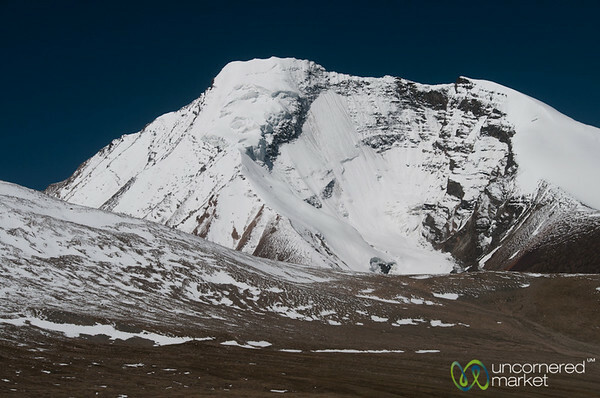 Kang Yaze peak covered in snow, view from our trek up to Kongmaru La Pass on Day 6 of our Markha Valley Trek in Ladakh, India. 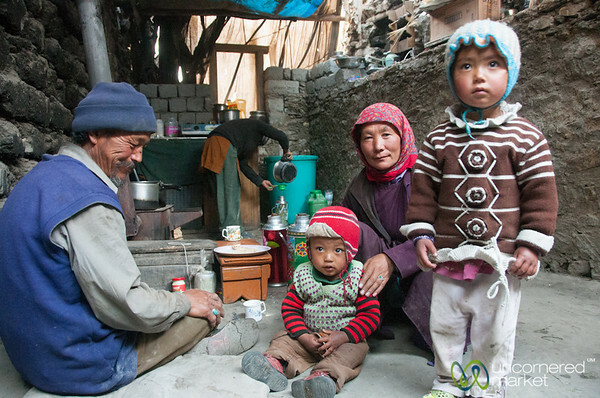 Breakfast time with a Ladakhi family in their village of Skyu along the Markha Valley trek in Ladakh, India. Hankar village and farm land under the gaze of snow-covered mountains. 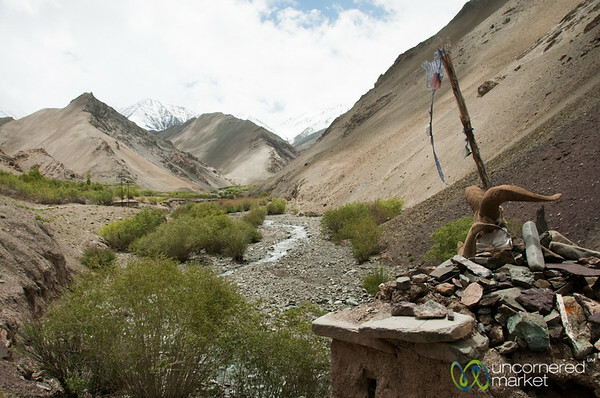 Day 4 of Markha Valley Trek in Ladakh, India. Following mountain streams from the top of Gongmaru La Pass to Shang Sumdo. 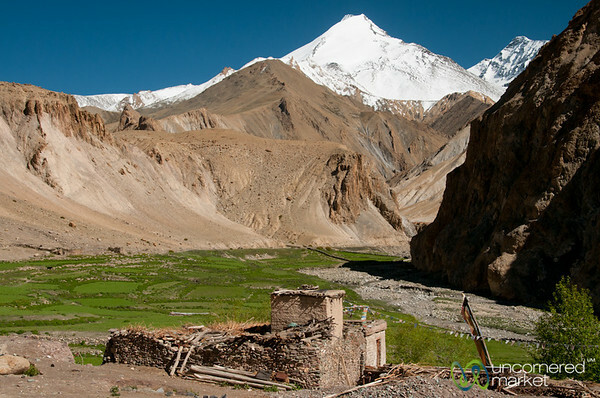 Day 6 of Markha Valley Trek. Ladakh, India. 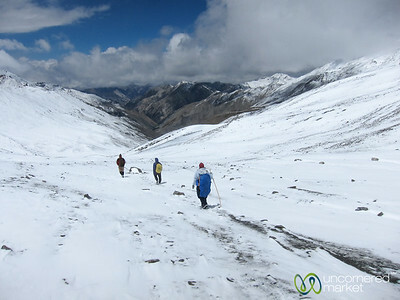 Walking down from Ganda La pass in Ladakh, India. 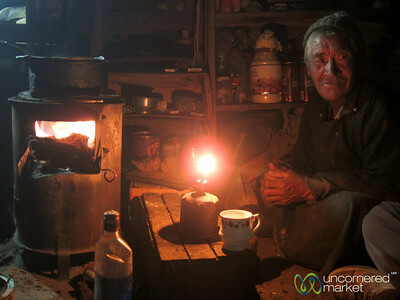 Tea time with a shepherd and his family in a shelter near Nimiling on the Markha Valley Trek in Ladakh, India. Gongmaru La Pass crossing, layers and layers of mountains. 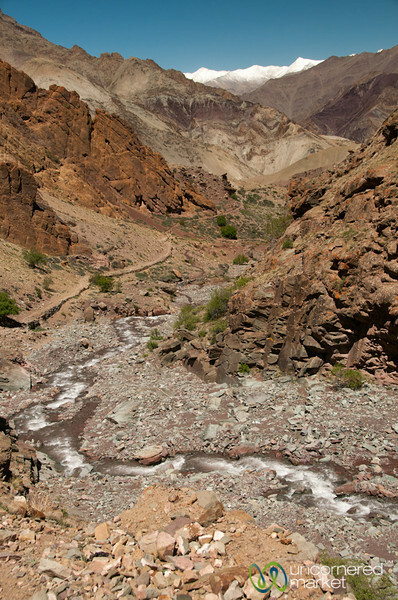 Markha Valley Trek - Ladakh, India. 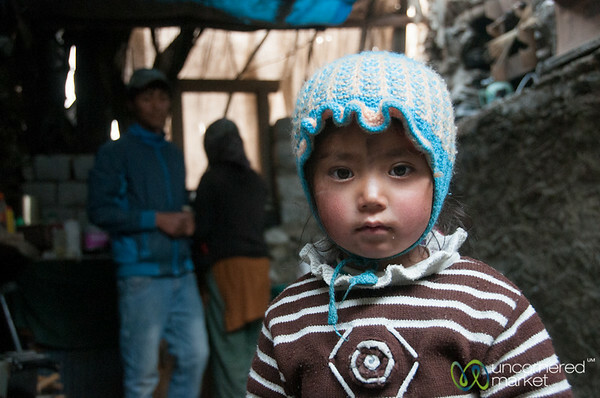 Family time in the village of Skyu, 2nd night of our Markha Valley trek. 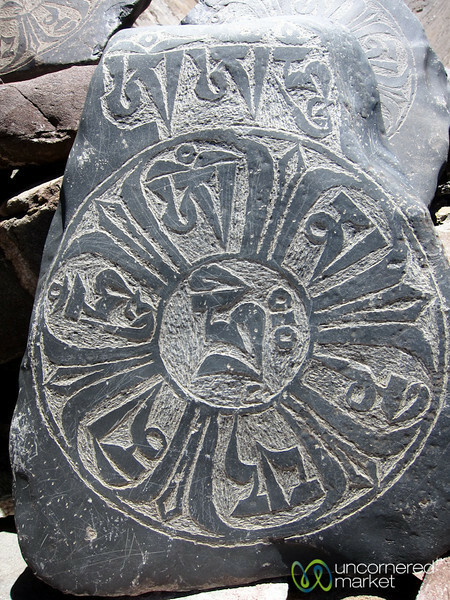 An engraved mani (stone) with a Buddhist prayer on it near the village of Hankar, Markha Valley Trek. Ladakh, India. 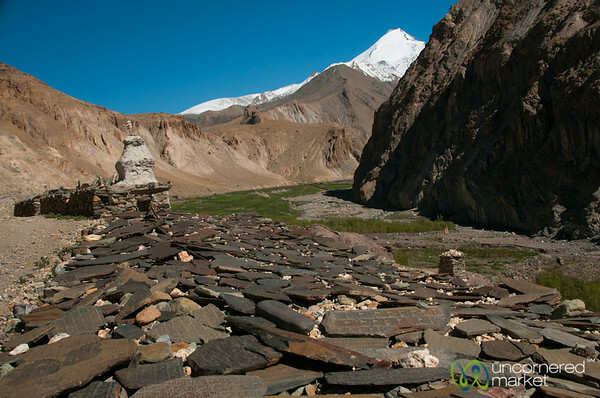 A resting spot on the way from Hankar to Nimiling with a gorgeous view. Markha Valley Trek day 5, Ladakh, India. 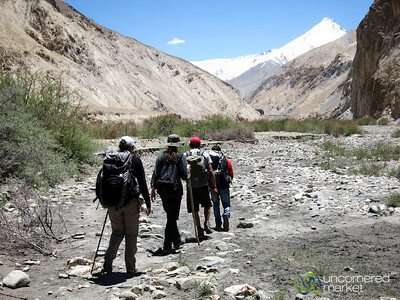 Trekking on Day 4 of our Markha Valley Trek, from Markha to Hankar. Ladakh, India. 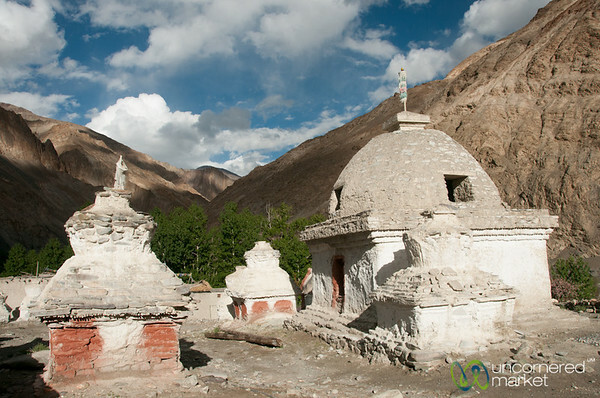 Chorten in the valley, day 1 of our Markha Valley Trek in Ladakh, India. Mani walls and chorten, day 4 of Markha Valley Trek in Ladakh, India. 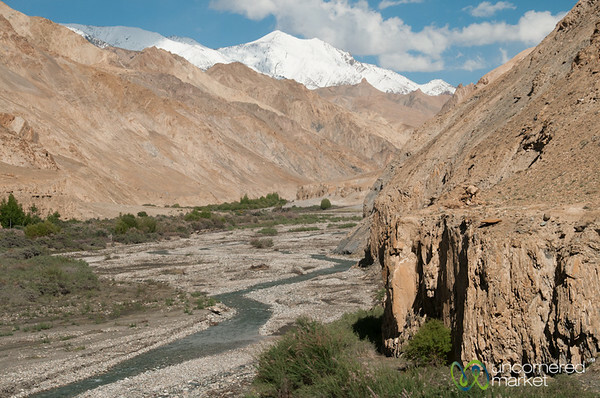 Mountain views and river valleys - day 3 of Markha Valley Trek between Skyu and Markha village, Ladakh, India. 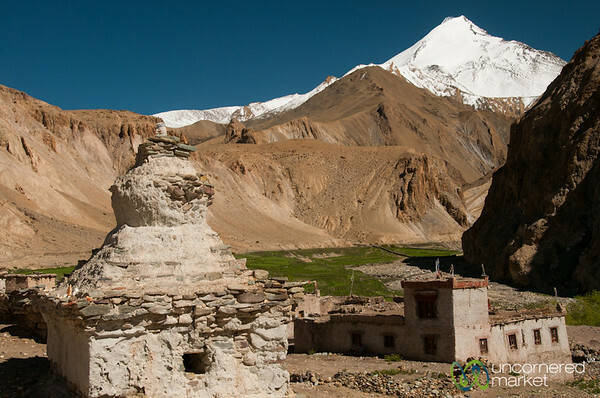 A chorten and view of snow-covered mountains greet us as we enter the village of Hankar. Ladkah, India.